RealTime Networking proudly presents the new product Lottery Artificial Intelligence II -LAI II- is sure to add an edge to the present LAI experience. It comes power-packed with over 30 world-class new features in addition to the functionalities already available in LAI. LAI II is a result of 6 months of our hardwork and development effort to integrate all of your valuable suggestions and improve the functionality, performance, user experience of the software. 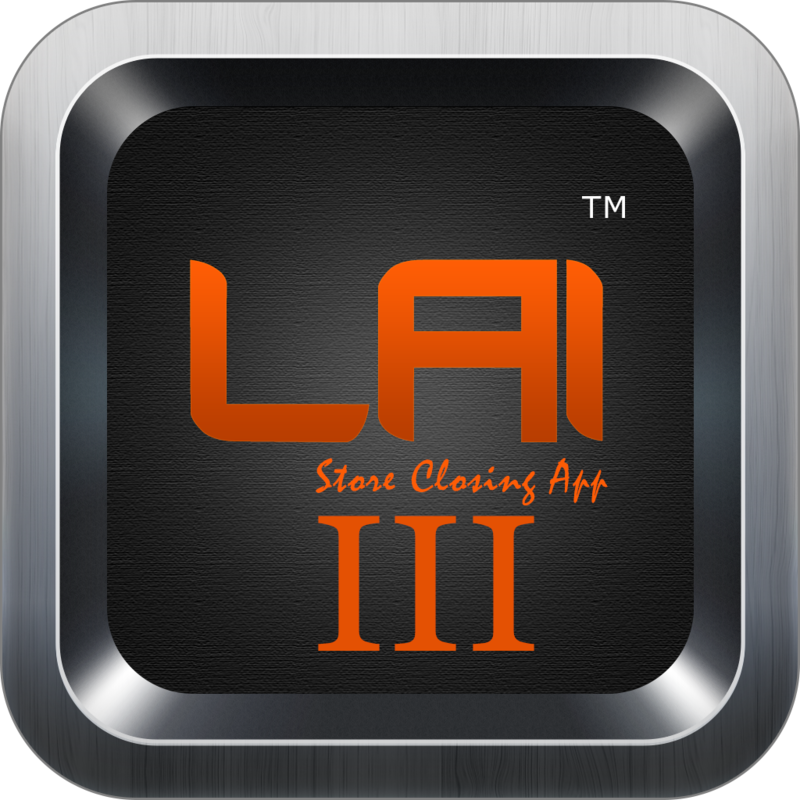 LAI II has over 30 world-class additional features that is sure take the performance and productivity of your lottery business to the next level. LAI II has been tested and retested through uncompromising quality checks to ensure that it meets with your unique business standards. Get the Reports and Graph depends on date. Supports Multi-store Operations with a Single Login : In LAI II you can access the data of all your stores (registered on the RTN network) with single credential (one username and password). This truly eliminates the need to remember and manage separate log-in and password for each of the premises. Your unique username and password gives access to data for all your stores only after proper backend validation. Beginning Number:From the Active List in Homepage, now you can edit the opening number of the ticket by selecting a specific row. Fix Sold Out Ticket : If any ticket is marked as Sold Out in error, you can easily reactivate it with this option. New Concept of Shop Manager (Preference ->Add User): You can assign login rights to new personnel (Shop Manager and Other Staff) with required access inline with their function in the store. Supports Edit of Store Reports (Restricted to Shop Owner &Manager Only) : The authorized personnel can rectify any error in shift closing report with the report edit option – Report Add/ Delete rendering a definite advantage over LAI I. 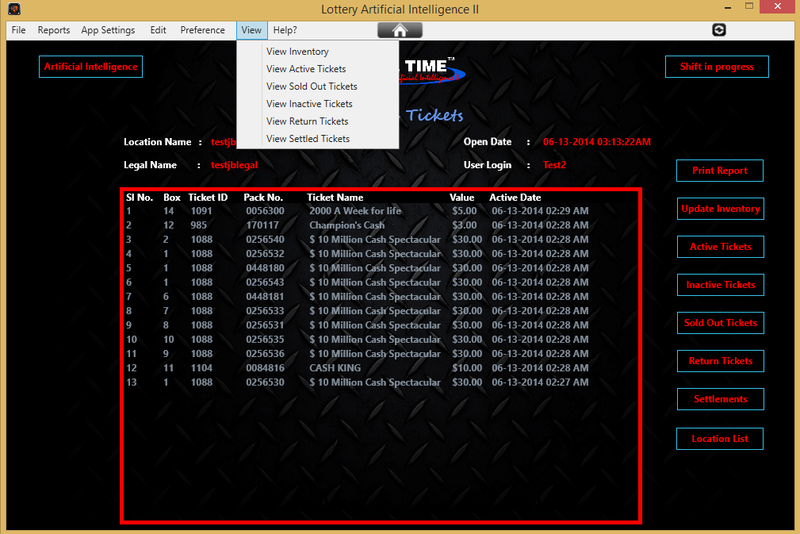 Period Wise and Ticket wise Data Viewing Option with Artificial Intelligence (AI) : All 5 tabs of AI are equipped with ability to shortlist tickets in three ways - Daily, Weekly and Monthly ; similar to Level 2 AI in LAI I.
Manual close Shift : You can close the shift even if you are experiencing a downtime or technical issue. With the addition of Manual Scanning Mode option alongside the existing Bluetooth & Phone scanners, you can assign a close number manually within the shift closing page, go to the final shift closing window and complete the task. 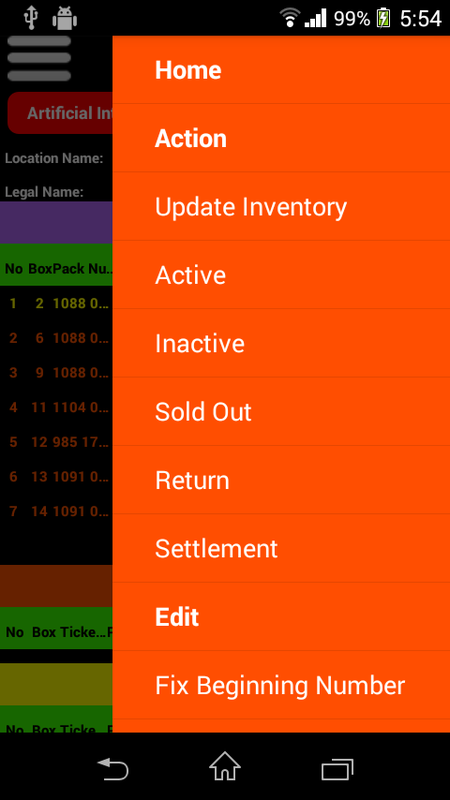 Provides Inventory Summary : New fields are added to give you more information - ‘Active’ – Total Activated Tickets in a shift, ‘Inventory’ – Total Tickets in Inventory in that shift, ‘Total’ – Sum up of the above two fields (by default). Cash in Hand : If there’s any mismatch in the inventory while reconciling, the App automatically intimates all concerned through an email from the Shop Admin. Option to select the Shift Close Time : You have an option to change the closing time (from default 12 AM) with choose/set date feature to close the on-going shift. Inclusion of iHope Card Details: iHope card details can be included under Advanced Option, and you can enter amounts received or deducted as Credit/Debit/TopUp Add-on /Top Up Cancel. 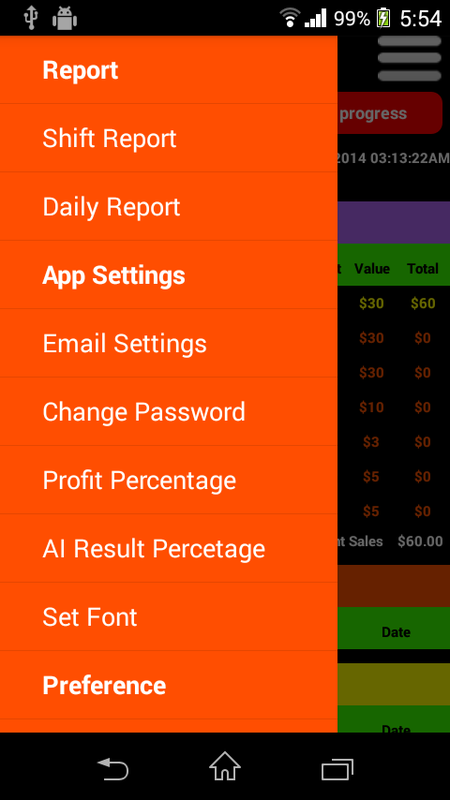 Customized Report Generation and Print Option from AI Pages : You can generate and print reports on all five AI - Most Selling Tickets in Store, Most Selling Tickets in State, AI Analysis, Next Week Order and AI Suggestion. 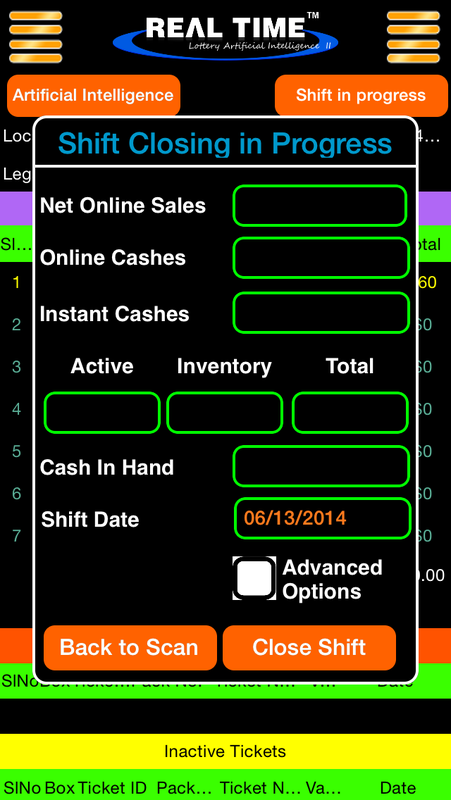 Daily Status Report in PDF : gives you comprehensive picture of the operations for the day. It is very useful if you have multiple shifts in a day. Generation Function Equipped with Calendar Option: AI Tabs and All Ticket View Pages are provided with the calendar option which allows you to generate report for the desired period by filling the From-To Date. Inclusion of ‘Help’ Tab : Can download information on the Application, Barcodes and About LAI PDF with print option. Addition of ‘New to App?’ Link in Home Page: ‘New to App?’ link to a video that provides information for new users is included in the Login Page. ‘Forgot Password’ link in Login Page: If you forget your password, you can now generate a new temporary password by entering your RTN registered email. Change Password: LAI II comes with the option of changing your password (available under Preference). Display of Actual Date of Ticket Processing: LAI II displays the date on which the ticket has been processed. This feature is available for all ticket status updates - Active, Inactive, Update, Sold Out, Return & Settlement. App picks up the date displayed on the device and features it in all pages. Add User – Display : The App lists all users added along with their log-in credentials.The show Manager can see all employee’s credentials under him. And the shop owner can see all shop mangers and all employees. Entry of Flexible Value Tickets : The operator has the freedom to enter tickets of any value. Integration of different State’s Lottery:LAII equipped with easy integration different state’s lottery . 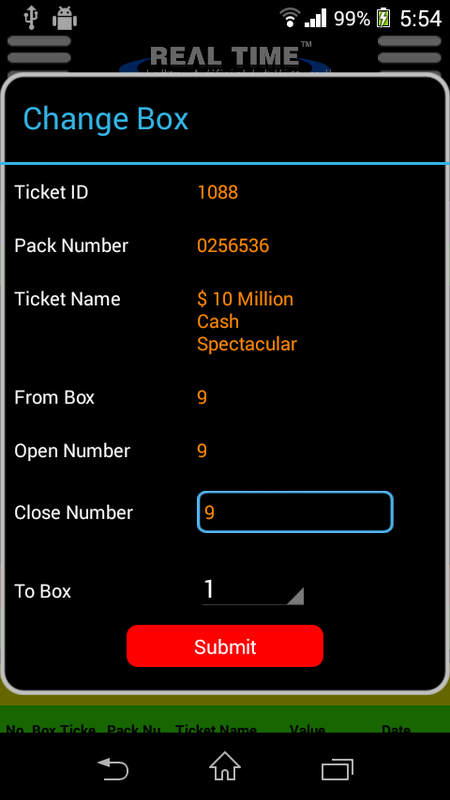 Value of Inventory Tickets: You can view or generate report of total value and number of tickets in inventory at given time. 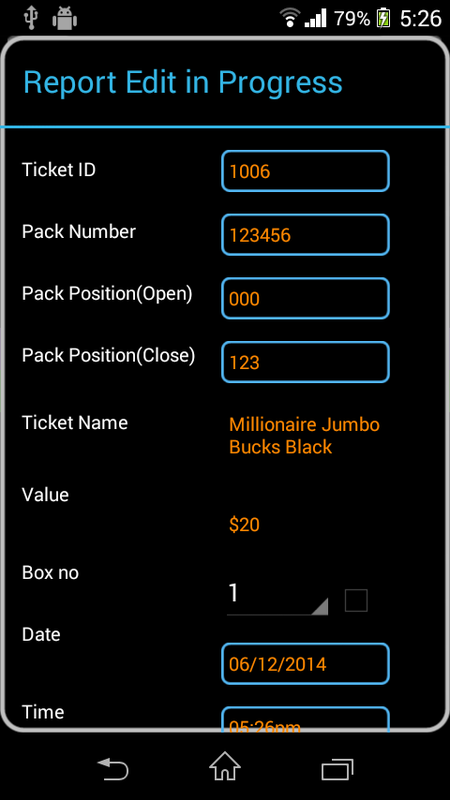 Active Default Pack Position Added in Setting : ‘Active Default Pack Position’ has been added in the setting where by default the minimum value of all the tickets will be preset as zero. Earlier you would have to change the value of the tickets. This facilitates the Active Scanning Process after the first installation. Option to initiate Activation Process in Ascending or Descending Order : You can now decide to initiate the activation process either in Ascending or Descending order. The Active Window has a check box for ‘Ascending/Descending”. By default, it is set at Ascending; you can tick to scan in to scan in reverse order. Multi-Platform Updates and Automatic Refresh: LAI II is also available on iOS, Android and Windows like LAI I; but here if you edit or add the data on one platform, it automatically updates and refreshes on other platforms. View Settled Tickets : We can view the Settled tickets for the given range of dates. 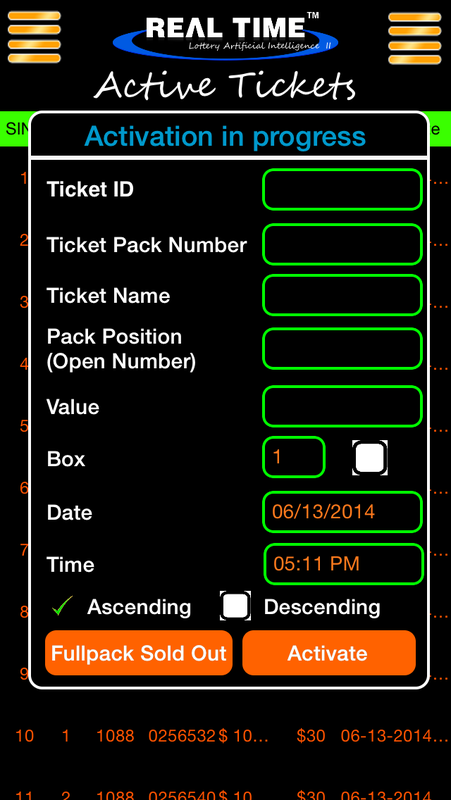 View Return Tickets : We can view the Returned for the given range of dates. View Activated tickets : We can view the Activated tickets for the given range of dates. View Sold Out tickets : We can view the Sold Out tickets for the given range of dates. Change Font Size & Background Color Settings : You can select font size and choose background color of your preference. Change Font : In Windows user is flexible to change any font for Windows App. 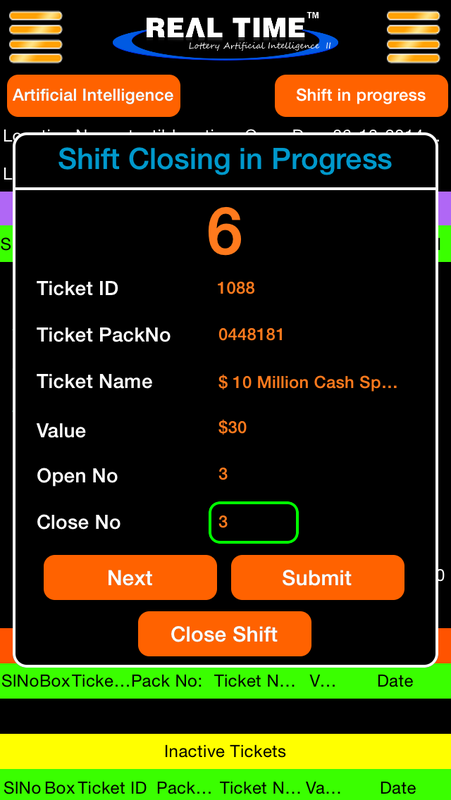 Made Check Box Selection Selection mandatory in Ticket Activation in LAI II (iOS and android) . This made optional in Windows App through App Settings. Zoom In and Zoom Out (Pinch for iOS & Tap for Android) : This functionality is provided to every detailed listing page in LAI II. A detailed view is provided in Landscape Mode. This along with the option to change font size makes the text easily readable. While we zoom out for enlarged view on relevant data values are displayed.